You can’t become a wine connoisseur just by scattering words like oenophile around. You have to study the grapes, the terroir, the methods. 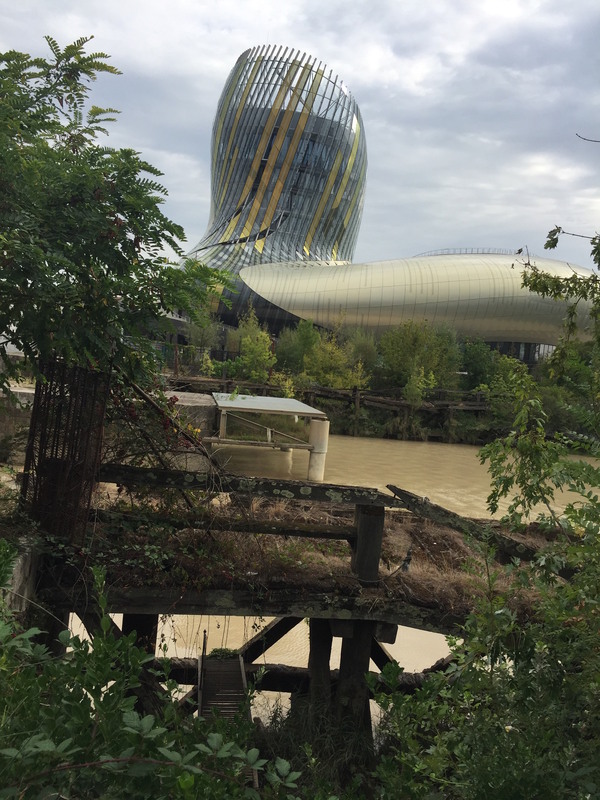 Here’s what happened when I took the first step towards becoming a wine buff at a ‘Writers and Wine’ workshop at the new wine museum in Bordeaux. If you ever want to experience French hauteur at its best, try this. Go into a wine shop in Bordeaux and say you’re looking for a bottle of red wine with a picture of a tree on the label. The shop assistant will look you up and down, raise an eyebrow and ask if you have any more details. The region, the vineyard perhaps? It won’t help if you can’t even say whether the tree is a horse chestnut or a sycamore. I discovered this in Bordeaux not long ago when I was trying to track down a bottle of wine that some friends from Toulouse had given me. It had struck me as a gorgeous drop and I fancied trying it again. Remarkably, on this occasion I spotted the bottle just by scanning the shelves. Here’s the label. Is it a tree? Is it some leaves? 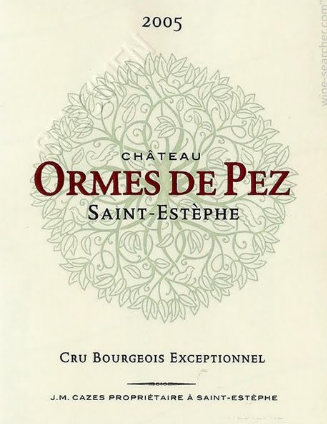 The label from a bottle of Ormes de Pez. To be honest, it’s no surprise the guy in the shop couldn’t find it. Those are clearly leaves, not a tree. The wine is from Château Les Ormes-de-Pez in the Saint-Estèphe appellation of Bordeaux. Apparently that’s near the hamlet of Pez, which I hope is the spiritual home of sweet dispensers shaped like Disney characters. The assistant informed me that the wine cost 30 euros a bottle. I nodded nonchalantly, trying to look as though I was blindée de tunes (i.e. loaded), and handed him my credit card. What I’m trying to say is that a) I know a bit about wine, but b) not enough when it really counts. So when I found myself with some time to spare in Bordeaux recently, I signed up for a one-hour Writers and Wine workshop. Bordeaux’s wine museum, La Cité du Vin, is in a magnificent building that spirals up from the edge of the Garonne river. 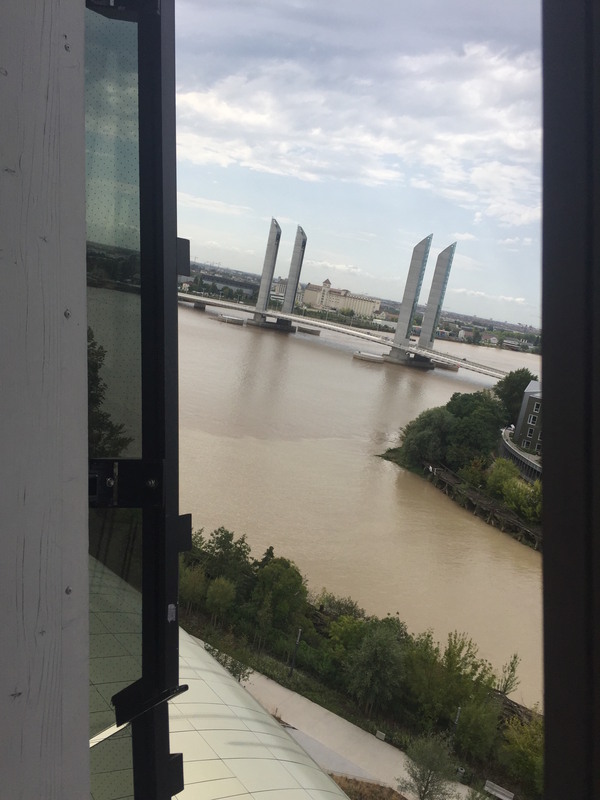 This part of Bordeaux is in full-pelt regeneration, with food trucks parked outside offices, a club boat moored on the local canal and a pleasingly ramshackle pontoon opposite as a nod to the area’s crumbling industrial past. There were three takers for the Writers and Wine workshop: me and two Italian men in their 20s. As a trainer who runs writing workshops, it’s always interesting to see how other people run their courses. This facilitator was strict. I instinctively flicked through the course handbook and was told not to look ahead. It set the tone: no messing. Usually, I’d say that strict is good. The person running the session needs to be in charge. On the other hand, I was on holiday and so were the two Italian guys. We weren’t there to get a certificate in health and safety, so the atmosphere could have been a bit more relaxed. The facilitator pointed out that we each had our own carafe of water and spittoon. I didn’t use the crachoir, even though it looked like a miniature Verner Panton chair in jolly red plastic. Neither did the Italians. One other thing: this workshop’s in French. The museum has plenty of English-speaking sessions, but you have to have a reasonable knowledge of French for this one. Drunk on wine, poetry, virtue… or water? Maybe we were meant to get drunk on water. Well, it was 11.30 on a Tuesday morning. It would be unseemly to get sloshed so early in the day. And in any case, I’m a lightweight when it comes to alcohol; two glasses and I’m a right shower. Clearly, the Cité du Vin was saving me from myself. One of the lines in the poem was particularly intriguing, saying that wine “will restore the strength and colour to your son”. The reason, we were told, is that until 1955, French schoolchildren were given watered-down wine to drink with their lunch. That fact alone was worth the €20 workshop fee. I wasn’t so keen on the poem, which was all about maidens dancing by the banks of the Rhine, trailing their long green hair behind them. But my friend Luce loves Apollinaire because he’s a “bit crazy”, so maybe I should give him a chance. The third wine was an opportunity to learn about Burgundy, with the help of the writer Colette, who grew up in the region in a family of connoisseurs. The text from Prisons et Paradis demonstrated her knowledge of viticulture and even mentioned the effect of the moon on vine growth, anticipating the current biodynamic movement. The burgundy in our glasses was a gentle 12.5%, compared to the punchy 14% Nero d’Avola I often choose, and was a revelation. There’s a lot to be said for a more subtle approach. The mystery red turned out to be a Crianza Rioja, which is another of my default choices. Overall, I was impressed that the workshop didn’t only feature French wine. I’d assumed all the wines would be from Bordeaux, given the region’s reputation. But apparently the museum has a deliberate policy to look beyond its own patch. Mind you, this openness only stretches so far. The cellar at the Cité du Vin stocks just one wine from the UK. Take a bow, Gusbourne Estate Blanc de Blancs. It might take a while before the French rate the vineyards of Kent, Hampshire and Cornwall anywhere near their own. Another surprise? The Beiser was my favourite of the session. I never normally choose German wine, so that prejudice fell by the wayside. The workshop definitely helped expand my horizons. The facilitator really knew her stuff and I now have a new collection of writerly quotes and facts about wine that I can drop into conversation. Who knows? Maybe I’ll even be able to walk into a French wine shop without making an idiot of myself next time.